Infused with apple and coconut scents, the Fudge Skyscraper delivers the most shiny, soft finish. Its medium hold style support lasts all day but brushes out easily. A real head turner. No highflying routine is complete without the perfect finish - and that’s exactly what Fudge Skyscraper provides. This medium hold spray ensures you don’t have a hair out of place, while keeping your style soft to the touch, and brushing or washing out with zero hassle. -Cover face and spray arms length away from the hair, wait for the hair to dry. 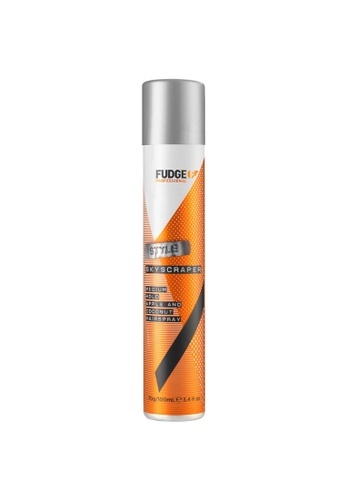 Can't find Fudge Skyscraper Small 70g [FU6921] in your size?